Autism outcomes with early intervention can be extremely promising, with some children demonstrating significant improvement. Parents are urged to enroll their newly diagnosed children as soon as possible, but this can be challenging. There's no need to panic if your child has entered a program late. A child's prognosis after a diagnosis on the autism spectrum of disorders depends on a number of different factors. The severity of the symptoms can vary greatly from one end of the spectrum to the other, with some children being mildly affected and others profoundly affected. Research has found that young children with autism can benefit greatly from early intervention (EI) services. Research suggests that the earlier a child receives services, the better. Ideally, a child receives services immediately after diagnosis, which can be as young as 18 months. Early Intervention and Brain Plasticity in Autism from the Autism Center in the University of Washington in Seattle looks at developing brains in infants and toddlers. The study focuses on a brain system that processes faces that is impaired in cases of autism. Newborns can recognize faces and babies as young as six months old can differentiate between familiar and unfamiliar faces. Toddlers with autism failed to differentiate between familiar and unfamiliar faces.The ability to process faces is both biological and experience-based. Early intervention that promotes social interaction and attention to faces can give the child the necessary experiences to build a face processing system that leads to normal social responses. University of Michigan study, Early Intervention Lessens Impact of Autism, found that autism outcomes with early interventions are very promising. One-third of the children in the study showed remarkable progress and nearly all the children improved, even those who continued to experience difficulties with autism symptoms.Five percent of children in the study experienced recovery by the age of nine, no longer meeting the criteria for diagnosis. Ten percent improved significantly but continued to have mild problems with social interaction or repetitive behaviors or limited interests. Seven of the children participating in the early intervention study improved enough to have their diagnoses changed from autism to pervasive developmental disorder, not otherwise specified (PDD-NOS). The study used the Early Start Denver Model, a newer approach that combines relationship-based play routines with applied behavioral analysis (ABA). The combination is ideal because it merges clinical behavioral strategies with playful activities that build relationships with the child. It is important to note that children in this study received parent-delivered therapy in addition to therapy provided by a professional. Dawson states, "Parental involvement and use of these strategies at home during routine and daily activities are likely important ingredients of the success of the outcomes in their child's progress." Outcomes in cases of autism with early intervention are far more promising than they are without. In addition, parental involvement is a critical aspect of a child's success. When a family receives early intervention services, but fails to follow through consistently with the child's treatment plan, the prognosis drops. Families entering early intervention programs with their children do not receive an Individualized Education Plan (IEP) for their kids; they receive an Individualized Family Service Plan (IFSP). 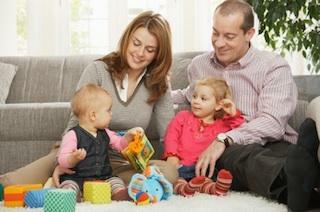 Working as a family unit with consistency may be as important as starting services as early as possible. Why Is Early Intervention Effective? Autism outcomes with early intervention improve because an infant's brain is malleable. New neurological pathways are developed through each learning experience and each interaction. EI capitalizes on the learning potential inherent in the developing brain but it isn't necessary to worry if you are entering your child into a program after 2 or 3 years of age. The brain is a landscape that changes as the individual learns new things. Some intervention models, like MAPS programming, recognize the importance of brain plasticity in people of all ages. A child entering therapy late can still achieve great success with structure, consistency and support.